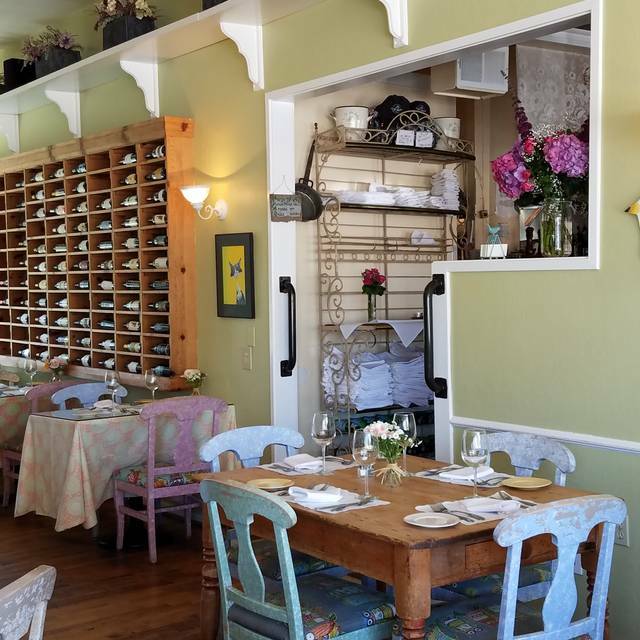 This charming country French restaurant located in historic Aptos Village, combines traditional French sauces with a California flair. 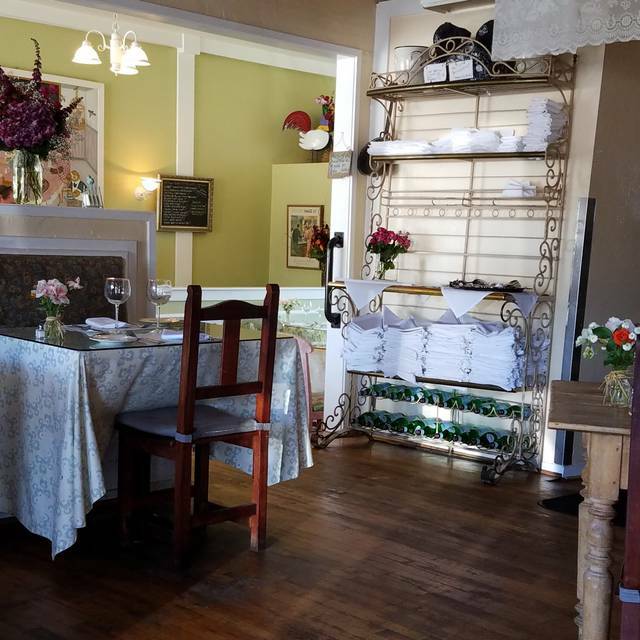 The quaint restaurant with its open kitchen, is the "favorite" of the locals & consistently wins local reader's polls for "best restaurant." The creative menus are complimented by a varied wine list with a local focus. Lunch is served Monday through Friday from 11:30 til 2:00, and Saturdays from 11 til 2. Lunch features creative salads and sandwiches, along with daily specials. Brunch is Sunday from 9:00 til 2:00. Brunch features creative egg dishes, benedicts, house made pancakes with organic maple syrup and omelettes. Dinner is served nightly from 5:30. 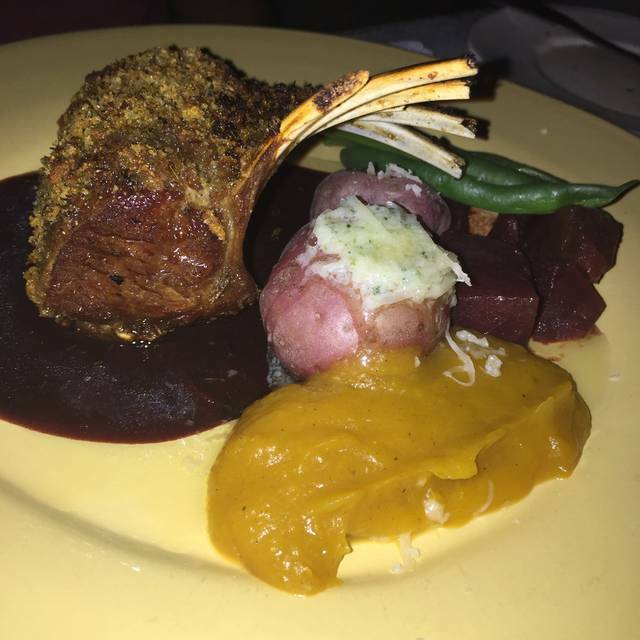 Dinner features filet mignon, rack of lamb, pasta dishes, and the freshest of options from the sea. Sauces are a specialty. 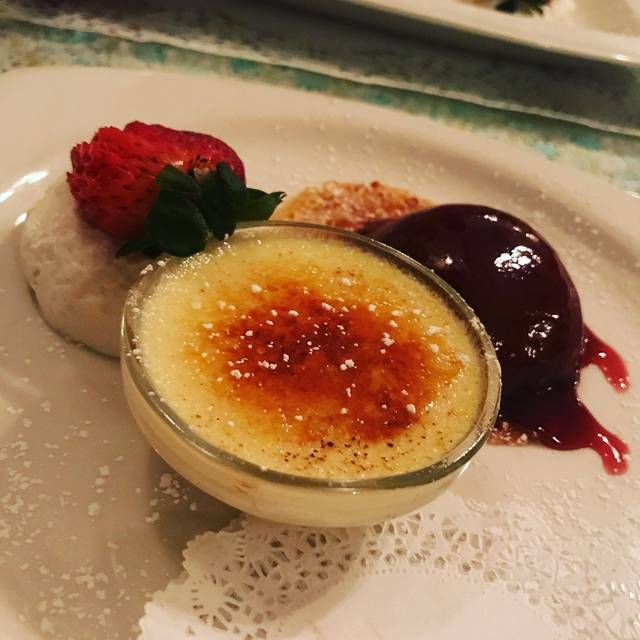 Desserts are made in house and are sure to please. Cafe Sparrow is the place to go in Aptos and Santa Cruz County for fresh, delicious and beautifully presented food. Just what we wanted the evening we were there. Friendly chef came over to greet us. Wife and I went for the first time after living in Santa Cruz for 12 years. Lots of friends love it and would call it their favorite restaurant. SERVICE: Our waitress was wonderful. Very attentive, helpful, and kind. FOOD: Had the scallops appetizer. That was very good. Only issue was the polenta under the scallops was a seared a little too long for my taste. On the verge of burnt. Still very good. Shared two mains. Chicken & pear salad. The chicken was very good but wished there was a little variety with the greens. All baby spinach which isn't necessarily bad. We then had the filet risotto special. Rice had some crunchy spots and was a little over seasoned. Of the three dishes this was my least favorite. Overall our experience was good. We'll definitely come back and try other dishes (ones that friends really like). Always have the best service and meal and Cafe Sparrow. One of our faves!!! Cafe Sparrow has great food, efficient service and a friendly, quiet ambience. These factors make it a wonderful restaurant, one that I return to often. Prices have gone up some, but you get what you pay for. Interesting, cozy space - looks like it's been there a while. Glass tops on tables are a turnoff. Service was competent and friendly. Interesting wine list, although seemed rather pricey. Bleu salad was excellent. Chinook salmon was OK, but a disappointment if you're used to King Salmon. Mushroom risotto unremarkable. Profiteroles pastry was stale, as it so often is; chocolate sauce excellent. Cafe Sparrow reminded my wife and I of a tea shop.. amazing food and great service our waitress was friendly and came around often to check on us. My very favorite restaurant...always what I expect! I had rack of lamb and my guest had surf and turf. Both were fabulous. The garlic appetizer was delish. Great coffee to finish up. Bravo!! Cafe Sparrow is my absolute favorite restaurant. 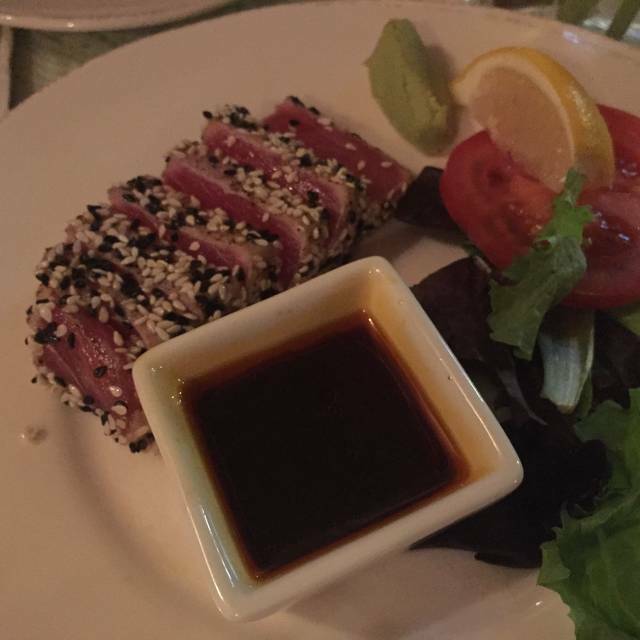 The service is great, the food is always delicious and I love the atmosphere. a lovely quiet evening, where we could have a conversation, enjoy good food and have lovely service. Had a wonderful date night! Such a sweet, mellow old school place. No blaring TVs or harsh lighting. This place is like a step back into a more mellow time; beautiful wonderful service, relaxing and thoroughly enjoyable. We happened to be staying in Aptos for my sister’s birthday and I made reservations for Friday night. On Sunday we decided we wanted to do breakfast at a place with options and this happened to be the number one spot for breakfast. Food for both dinner and breakfast were amazing and the staff is super friendly! The food is consistent and of high quality, The venison special that night was superb. Service was attentive and the ambiance is always enjoyable. We've always enjoyed Café Sparrow and have enjoyed dining there approx. once a month. On Thursday, March 28th, we took 3 clients of my husband's for dinner, expecting the usual great overall dining experience. Unfortunately the food was mediocre, at best .... items we'd ordered before were pretty bad. The fondue was watery and almost curdled; my husband and one of his clients ordered the Fettucine Alfredo with filet tips... the Alfredo sauce was oddly sweet and not the creamy consistency it usually is. We didn't make any waves while there, especially because we were with our guests. We're not sure what's going on there... is there a new owner, a new chef? If anyone knows, please let us know. We'll try it again in April, but if it's as bad as it was on March 28th, we won't be going back. On the plus side, our server was great. Great menu great service. The chef checked on us and we really enjoyed the Monday specials. Excellent food, great service. Wonderful restaurant! Never disappoints...high quality, devious food...always a treat! Cute place, fantastic dinner. The pork belly special was perfect, lots of gooey fat, caramelized outside, and sweet and savory jalapeño fruit jelly made this the tastiest thing I've had in months. Vegetable risotto with sun-dried tomato sauce was highly flavorful, and a dried fruit sauce also made the roasted garlic an even more delectable treat. My only (small) complaint is that the Henri, jumbo shrimp with orange sections and citrus sauce was only good. An interesting selection of wines --many local-- rounded off the experience. We finished our meal with a glass of Riesling from Washington that was a perfect example of what Riesling should be. Definitely worth a trip to Aptos! Food was excellent and the service superb! what an old world inn would have had. Love it every time! My Family and My Son's Family ( Utah residents) get together twice a year for Sparrows fabulous food. In my opinion, the food offered is the finest in Santa Cruz County. Thank you for always being consistent with the quality of food and presentation. We had a wonderful meal after a long work week and it was a great place to unwind. The service is attentive but unobtrusive so you feel well cared for. We love the food and usually go with their daily specials and we have never been disappointed! Lovely evening all around. It’s been years since I’ve dined and I was pleasantly surprised. I’ll be back soon..
Food was delicious, not something you see around this area of the country often. Always a great place for dinner in Aptos. Highly recommended. You can tell that the word has gotten out ever since that "100 most romantic restaurants" article was published. The place was PACKED and the earliest we could get a reso was 8 pm. But I couldn't be happier for Cafe Sparrow. This place is an absolute gem. The food is always great. The specials change frequently so you never get bored with the same thing. The service is always top notch and they've got a great wine list. We will be back again....and again.....and again......and again. Excellent food and staff. Very helpful with our questions and needs. Ambiance was perfect! We went for 1/2 off wine Monday’s! The food is delicious, and it’s such a cozy atmosphere! You can never go wrong with anything off their specials menu! We enjoyed our dining experience here. 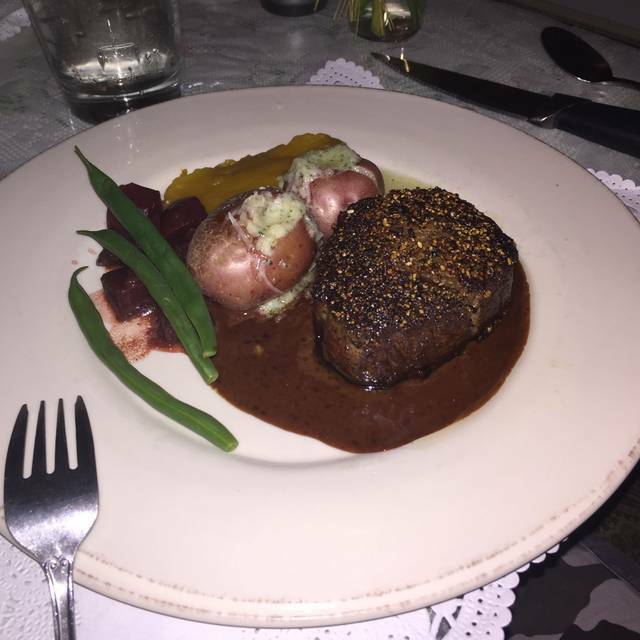 My wife had the chicken liver and I had the venison. Both dishes were very good. The portion size was just right, allowing us to have the ginger cake for dessert. Thank you Bob and Julie. 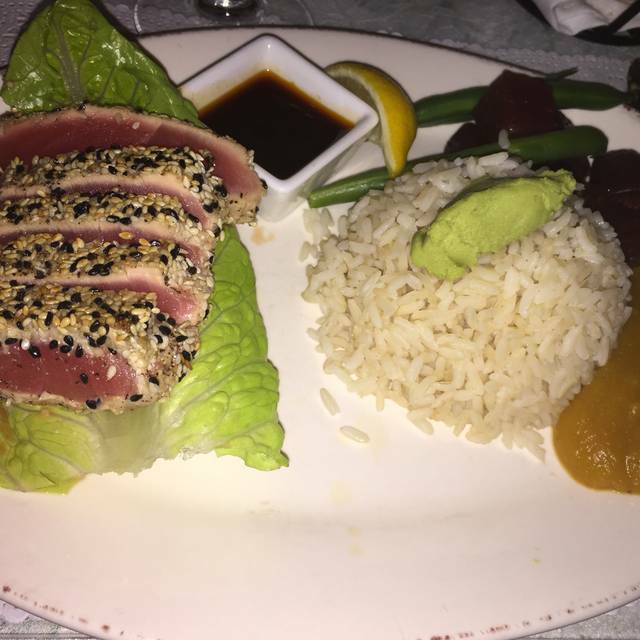 We look forward to enjoying another meal at your wonderful restaurant! Cafe Sparrow continues to serve excellent food, a nice combination of the traditional and more innovative choices. 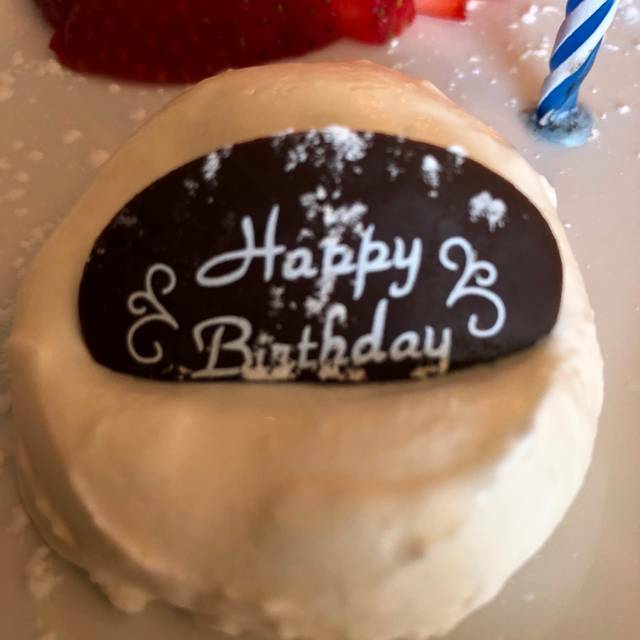 I especially enjoyed the crab cakes and profiteroles. Very good wine by the glass choices and excellent selection of bottled wine. Service is friendly, yet professional and efficient. We were a party of 10 for lunch. The food was exceptional, service was good, and prices comparable to other nice restaurants in the area. Would highly recommend. I’m so glad I remembered this sweet little place as my boyfriend and I had a wonderful anniversary dinner here! 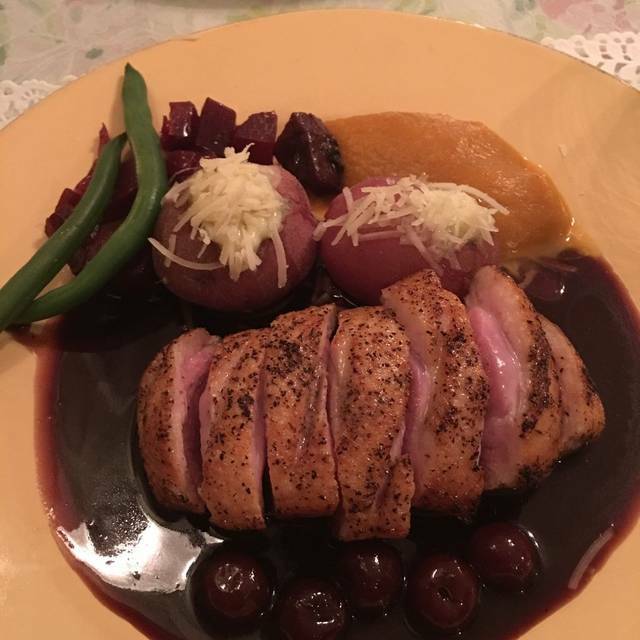 The food has always been outstanding, as well as the service. It’s a great memory of our special day! Last Saturday I went to Cafe Sparrow and thoroughly enjoyed my experience. The food was fantastic and the service helped make the experience. I would highly recommend this place to everyone.